*There is sad news to report in the world of gospel. Grammy-nominated gospel singer Daryl Coley reportedly died Tuesday night (03-15-16) while in hospice care. He was 60. During the height of Coley’s fame, medical problems came with him experiencing flu-like symptoms in 1991. Soon after he was diagnosed with diabetes, which resulted in temporary blindness. In addition to his gospel career, Coley became a minister and founded the Love Fellowship Tabernacle in Los Angeles, while also rising to become one of the top figures in the gospel arena. One of the greatest singers I have ever heard. R.I.P. Soldier. The choir in heaven just became larger. As we remember an iconic spiritual soul, we’re reminded that God alone has complete provence over the resting place of this minister. As a vocalist I admired him so much until I felt ineffective unless I was able to mimic his sound when singing any of his music. He has inspired many to be the best at what they do and to know that dreams do come true. I too loved Daryl for the peace that his songs gave me, having never met him personally. There was an unspoken connection as we were reaching for God’s favor, His presence was awesome and for all of us that loved him he will be missed as he was respected by millions that heard his ministry in song. I am at a loss but God knows best. It is said that the Lord giveth and the Lord taketh away, but for as long as I live so will he. 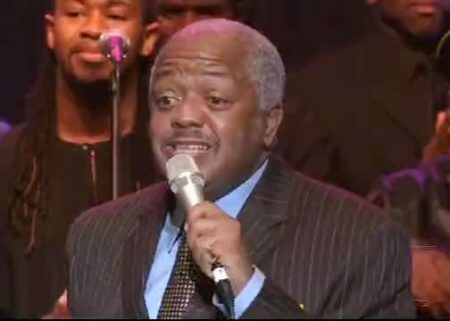 A voice like no other, one of a kind, I Love You Minister Daryl Coley, Rest well, you’re in God’s hands.